(pronounced as separate letters) Short for virtual private network, a network that is constructed by using public wires to connect nodes. For example, there are a number of systems that enable you to create networks using the Internet as the medium for transporting data. These systems use encryption and other security mechanisms to ensure that only authorized users can access the network and that the data cannot be intercepted. Assuming a client has an office with a remote branch office-it is possible for the head office to connect to the remote branch so that the remote branch can access files and data located at the head office as if both offices were located in the same physical location. The VPN can be constructed using a combination of Radios and VSATs depending on the locations of the branches. 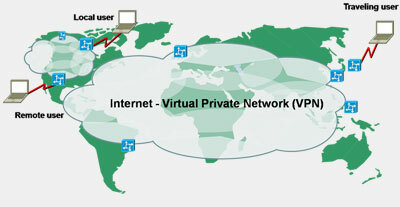 The connection between the head office and the remote branch is a private network also called a Virtual Private Network (VPN) in that it is not open for public use. However, businesses needing to share a large amount of information across regions, countries or even the globe are faced with often exorbitant costs related to WANs(Radios) and VSATs. At Bil-lander a client can get the cost saving benefit of a VPN by utilizing our cost-effective VPN technology via the internet transport to connect remote offices, remote users and even telecommuters to the main corporate site. By incorporating our innovative technologies, clients can reduce cost establishing robust, stable and reliable VPN connections from remote locations even with mobile internet devices. 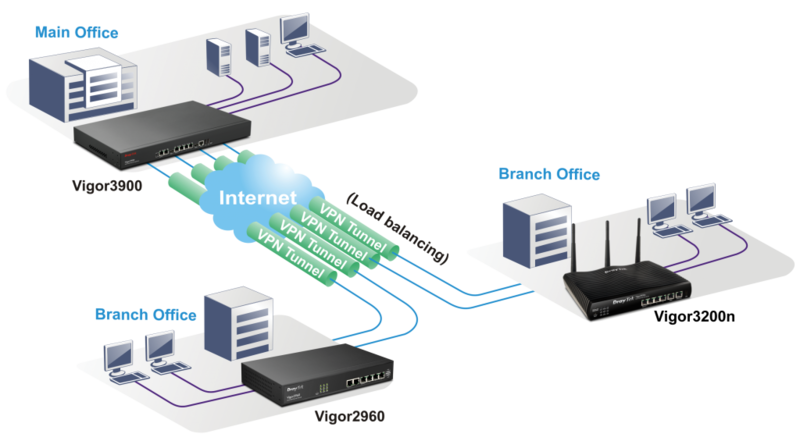 All services typically available to a LAN-connected client can be accessed by the remote office (including database, file and print sharing, Web server access, messaging, collaboration, implementing cost effective communication platform like “Voice Over IP” and accessing Video Surveillance Systems, Access Control Systems etc. This will result in the additional cost savings of increased productivity for the work team as a whole. For most users of the Internet a secure network is a top priority – any insecurities can be exploited by malicious snoopers or hackers, often with devastating consequences. A business needs to be able to reassure its customers that their private information is well protected and to protect their sensitive data and information from competitors who may attempt to access illegally the company intranet. A Virtual Private Network will allow remote access for employees whilst ensuring the security of the network against unauthorised, illegal, or malicious attack. VPN, or Virtual Private Networks are becoming increasingly popular as they provide private, secure methods of transmitting and receiving information that may be vulnerable to unauthorised snooping or hacking. Whilst it is often the purview of business, VPN services are being used by more organisations and private individuals who want to maintain their online privacy and security. 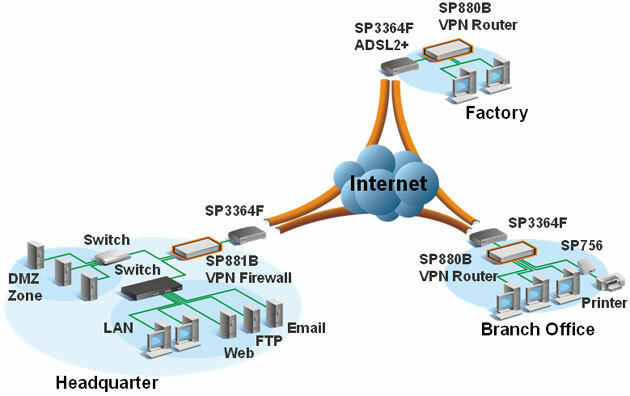 The connection between branches is over a secured tunnel which the VPN server communicate with an Internet Authentication Service (IAS) server to authenticate and authorize a user session and maintain the connection until it is terminated by the VPN client or by the VPN server. Data transmitted via a wireless network is highly vulnerable to misappropriation – it may be intercepted by anyone with the ability and time to do so. Using a Virtual Private Network service means that both transmission and receiving of sensitive data can be safely undertaken without the risk of compromise. All data is encrypted prior to transfer and delivered from the VPN server to the individual VPN clients in data packets. A data packet consists of a header component (title of the data packet) and a payload (the actual data). Both the header and the payload are encrypted meaning that any unauthorised users will be unable to decipher the information within the packet. On receipt of the packet, the VPN client will decrypt the packet back into the original format making it easy for the recipient to read and understand. Many businesses now use a VPN service to allow remote access to the office computer for those employees located elsewhere. This may be when an employee is working in several different offices or is out in the field and moving around. IT is an essential part of today’s business practice and can be crucial to the successful operation of businesses. It is often necessary for employees to be able to access data and information stored on the office computer even when they are absent – a VPN service will make this possible. 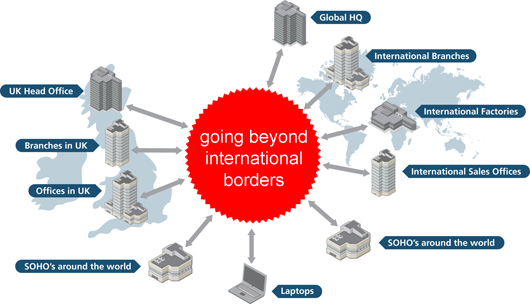 Clearly one of the main advantages of a VPN in business is the remote access it provides to the company’s mainframe computer whilst at the same time protecting that access from unauthorised and/or malicious users. This may mean a noticeable increase in efficiency as employees who are away from the office but still have Internet access via a Private computer, Tablet or Smartphone will be able to use the company network in a secure manner without fear of information or security being compromised. Probably the greatest benefit of a VPN is the ability to save a company significant money on their networking needs without sacrificing reliability, speed, functionality or security. Before the emergence of internet based technologies, businesses wanted to share data in a private and secure manner were required to create networks based on physically linked connections. Increased security is another benefit of a VPN. Depending on how they are provisioned, a VPN can provide the highest level of security possible by using advanced encryption and authentication protocols that protect transmitted date from unauthorized access. While there are other technologies such as SSL that provide encryption options for data, SSL is limited in the number of applications and protocols that are compatible with it. VPN doesn’t have this restriction, allowing for more flexibility to meet the company’s needs. One last cost benefit of a VPN is the ability for the network to be expanded in scale without the requirement of adding significant infrastructure. Since internet infrastructure can be provision easily with ISPs and devices that easily allow for the addition of new users, the company will not face the problem they once did with lease-line based networks of the cost of adding additional physical band-width. As VPN has grown in popularity in recent years, more organisations and private individuals have started using it to great benefit. don’t be left out, You don’t have to break bank to implement a VPN, talk to Us for free consultation and presentation.